High rated eCigarette Starter Kit voted best by Vaper's Worldwide because it is simply "The Best eCigarette Starter Kit"
It includes award winning eGo-C Twist battery which has nobe at the bottom to which allows to change variable voltages at your desire strenght which produces great qualty vape. 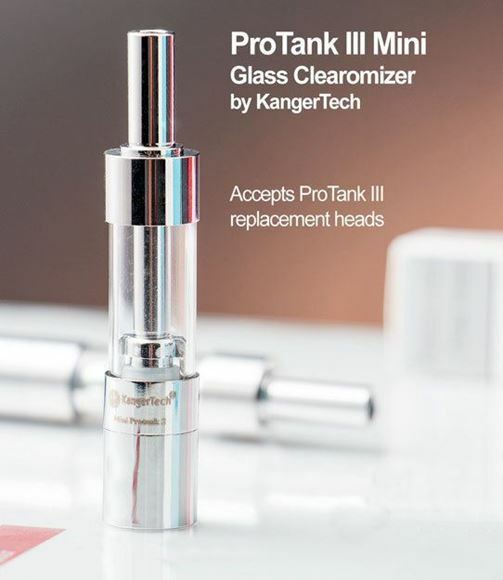 Kit includes Kangertech Protank Mini V3.0 which is latest tank and updated atomiser, tanks is nice looking stunning stainless sheet and glass. It is very versatile slicky tank to impress every vapour.